BIG CYPRESS — The triple crown isn’t just for horse racing. 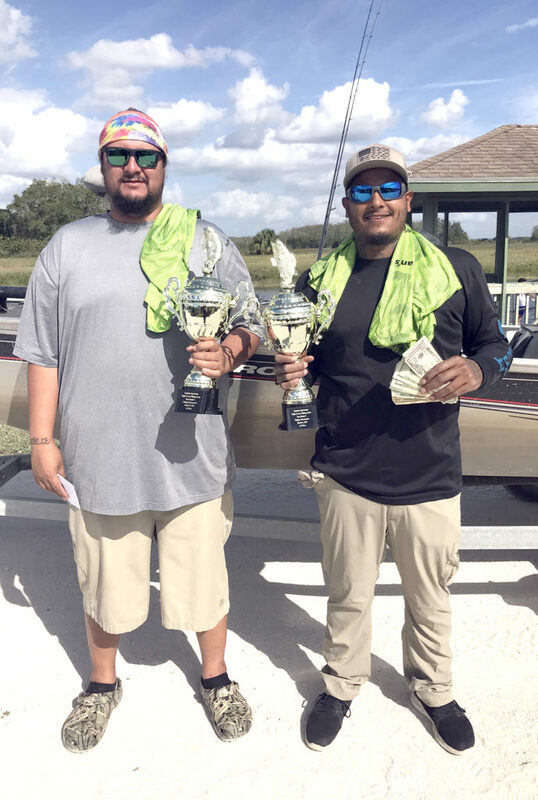 The annual Seminole Sportsman’s Triple Crown Fishing Series started March 9 with the Big Bass Fishing Tournament held on the waterways in Big Cypress. The first tournament in the three-tournament series drew about 30 participants. The top fishing duo of the day was Ralph Sanchez and Allen Venzor. They won first place by bringing back 18.5 pounds worth of fish. 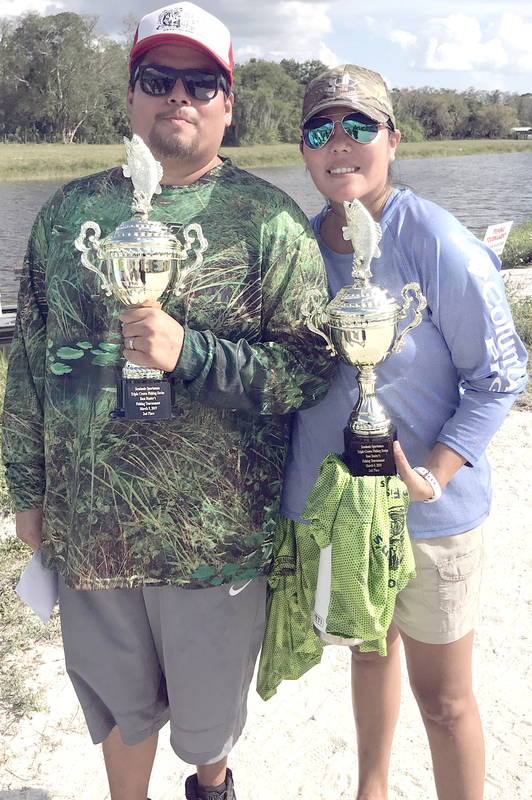 Sarah Osceola won the Big Bass honor for catching the day’s biggest fish. Her top catch came in at 5.56 pounds. The series continues April 13 with the Howard Tiger Memorial Fishing Tournament. The series wraps up May 11 with the Sportsman’s Championship. 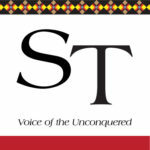 Competition is open to Tribal members, community members and STOF employees. Each team needs at least one Tribal member. Cost is $50 per boat. For more information contact Moses Jumper Jr. at 954-931-7118, Joe Collins at 954-931-7793 or email biggshotsports@aol.com.